Cole Thannisch is a new, up-and-coming artist who continues to blow away audiences, whether performing in a bar or in front of 10,000 people. He is currently a student at Belmont University in Nashville, Tennessee, but comes back to perform in his hometown, Alpharetta, Georgia, and around the Atlanta area. The Technique had the privilege of interviewing him and learning more about his musical career and being a musician in the industry today. Technique: What inspired you to get into music? Did you sing or play piano first? When? Thannisch: I first started playing piano at four years old. Both my parents had been singers at one point in their life, in church, musical theater, and in an a cappella group. I stuck with the weekly practice/memorize/lesson/recital routine with my piano lessons but around the age of nine or ten, I started composing my own music for nation-wide contests. Once that happened, I kind of jumped into a new world of making music. That led me to want to take up electric guitar when I was 11. My dad raised me on Eric Clapton, Led Zeppelin and Pink Floyd, so I suppose I naturally wanted to be able to rock out like the guys I had seen on TV and concert DVDs time and time again. I actually didn’t start singing until I was 14. I had only done choir in school until then but once I got into doing high school theater, I started to like using my voice for music rather than just talking or screaming at the TV while playing video games. Ever since then, I’ve just loved performing in any and all formats. Technique: What is it like to be an up-and-coming artist in today’s music industry? What challenges have you had to face? Thannisch: Today’s music industry is quite a challenging one. It’s certainly nothing like it was back during the days of my rock idols. Even in the late 90s and early 2000s, record labels were actively searching for new talent that they could exploit and make into the next rock or pop super star. Today, it’s more like “Hey kid, you’re good, but come talk to me when you’re already famous.” Being in Nashville, especially, has really proven to me that it’s all about acquiring new songs and the rights to those songs for the major publishers. Nashville is much more of a songwriting town than it is an artistry town in my opinion. And your way into the business as someone who wants to make music will have to be through writing and co-writing with the people who really know their way around town (in more ways than one). My biggest challenge has probably been staying motivated and keeping my eyes on whatever my goals are. At Belmont University, I’m surrounded by the most talented people I’ve ever known. I was lucky enough to get a spot as a singer in the School of Music’s most exclusive ensemble, Phoenix, as an auditioning freshman. Because of that, I’ve had the immense pleasure of working with other world-class musicians and vocalists. Being around those kinds of creative people keeps me going. Technique: Can you tell us about your first public appearance or your favorite musical moment? Thannisch: My first public appearance … does a talent show count? I’m honestly not sure. I’ve done recitals since the age of five and bar gigs since the age of 15. However, my favorite musical moment, my biggest on-stage rush, would probably be a tie between two instances. The first would be last spring, April 2014, when a piece I composed/arranged for a 150 person, 6-8 part choir and a full string orchestra was performed at the University Singers concert. The piece was called “Apocalyptica,” and it was a mashup of the theme from “The Walking Dead,” “Pompeii” by Bastille, “Sound of Silence” by Simon and Garfunkel, “Mad World” by Tears for Fears and “The Second Law: Unsustainable” by Muse, along with some excerpts from ancient Gregorian chants and “Night on Bald Mountain,” a famous classical piece. So, that was pretty amazing to see all come together. There’s actually a video of it (mediocre quality) from an audience member’s cell phone on YouTube on my channel. The next would probably be when I opened up for Styx, Ted Nugent and REO Speedwagon in May 2012 as an 18 year old who just graduated high school. I won an open mic contest hosted by 97.1 The River to find an opener for the show, and amongst 30 other solo acts, I won. Playing in front of 10,000 people at only 18 was pretty amazing. Honestly, any time I know that I gave my best on stage and that it was received and enjoyed by the crowd, I feel incredible. Whether it be because of one lyric, or hitting a ridiculously high note, or a certain song that a couple at the back of the bar had played at their wedding, I know that I’m doing what I’m on earth to do. Technique: Tell us about your first single. What inspired you to write it? How was that experience? Thannisch: My first real single wasn’t actually my first single. 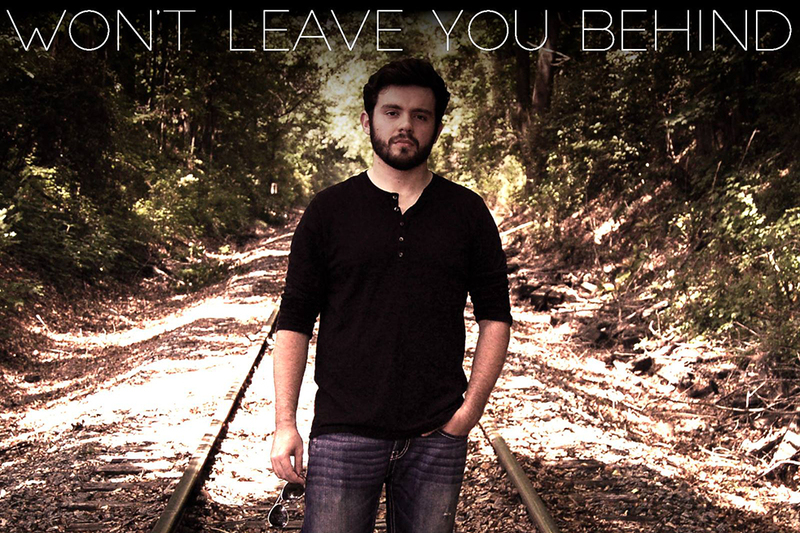 I had released a couple songs on iTunes back before I went off to college at Belmont, but “Won’t Leave You Behind” is what I consider my most professional single to date, after my first EP, “Love,” released in 2013. The inspiration from that song came from what most would expect, a woman, with whom I have only shared a handful of intimate moments. Nonetheless, my feelings towards her proved to be plenty enough for a fun song to perform. I actually wrote it way back in spring of 2013 but hadn’t recorded it until summer 2014. I wrote it with the intention of being able to be performed as an electronic pop song and as more of a pop/singer-songwriter tune, hence why I released the raw studio version of me and my guitar just playing the song straight through in one take along with my friend Alex Ehler’s (aka THOUGHTSEIZE) dubstep remix of the song. Technique: How much of your music/lyrics do you write and what type of subjects do you like to cover? Thannisch: Up until recently, I have written every bit of music and lyrics I release. I’ve finally begun to branch into the world of co-writing and writing for other artists. The subjects I kind of touched on earlier, but they can range from women (hell, they mostly come from my experiences with women, both good and bad), my life goals, someone else’s romantic fantasy or tragedy, a personal experience or a friend’s experience. Although, the most intriguing songs for me to write are ones like my song “The Cold,” which will be released on my EP come August or September. It isn’t about me. It isn’t about a friend. It’s completely centered around an idea of an unorthodox time signature and what winter could mean for someone. I drew images from things I’ve seen around Nashville in the lyrics of the song but it still describes a person’s own narrative. That narrative is just one that was created/envisioned separately from anything I’ve done or experienced. Technique: You currently live in Nashville. How often are you able to get back to Atlanta to perform? Do you have any scheduled appearances in Atlanta? Thannisch: I go back to Atlanta a few times a semester, more so in the spring than the fall. I actually have several dates scheduled in Atlanta for the rest of the spring. I’m playing at Ray’s at Killer Creek off Mansell Road in Alpharetta on Apr. 3 and 4, and then I perform at the Alpharetta Arts Streetfest on Apr. 19. Come May, I’ll be playing all over the place in Metro Atlanta, mostly in Fulton, Cherokee and Forsyth counties. Technique: What are your plans for the future? Thannisch: My plans for the future boil down to this: never stop creating. No matter what I have to do to make a living, whether it be a music teacher, a private voice coach, a bar musician, a songwriter on music row who only makes 10 percent of the total revenue his songs earn or a background singer on tour with some other act, I will never stop creating music. It’s so cheap and easy to make music by yourself nowadays that you don’t need 100 grand and a massive studio. You can literally do everything in your computer and make fantastic music that someone will want to listen to. As a professional, I hope to stay in Nashville after I graduate, or possibly after a couple months of being back in Atlanta. I know I can always find work in Atlanta, but Nashville doesn’t pay local entertainment nearly as well. I’m working on a few connections in Atlanta, Nashville and Los Angeles as far as an artist career goes. I try and keep my feet in a lot of doors, and whichever one opens up first will probably be the one I sprint through.